These days, pretty much everyone has a computer in their pocket. Some modern smartphones rival game consoles for pure power and performance. The iPhone XS has a 6 core CPU, a 3 core GPU and 4GB of ram and is capable of running a Elder Scrolls game. It's been 11 years since the original iPhone, and they’ve come a hell of a long way - pretty awesome. Smart watches are a more recent consumer product to come to the market. 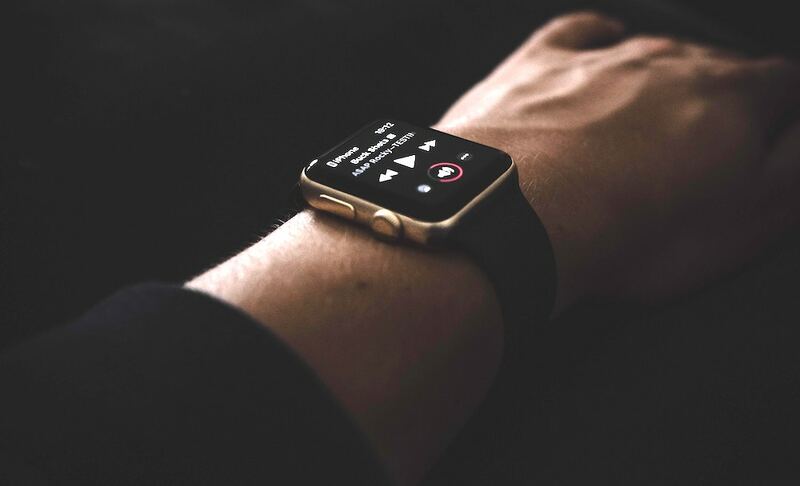 There is a buzz around wearable tech and some think it will replace smartphones in the future. The truth right now is a little more complicated. Smart watches are an accessory which is an excellent pairing with your smartphone. You can do almost everything a smartwatch can do on your smartphone already... but convenience is key. Over the last ten years or so, the number of people wearing a watch has dropped. This is because you can check the time on your phone which is usually in your pocket or bag and easy to grab. The smartwatch has changed everything because it combines the convenience of a watch with other 'smart' features. The Apple Watch shows not only the time, but also ‘complications’. Snapshots of time, date, current fitness goals, heart rate, stopwatch and so on. 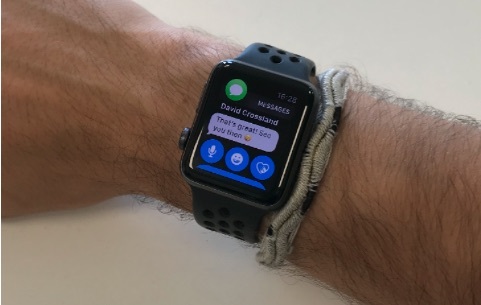 Apps are now designed to work on both your phone and your watch which at the most basic level means your watch will now tap your wrist to let you know you have received a text message. Convenience means quicker interactions. A user should be able to glance at a notification on their smart watch for example and then dismiss it in 1 or 2 taps. The point is not to replicate the full functionality of your smartphone but to increase the ease of its use. A text from your partner saying "dinner is ready" vs an email from your CEO. The first may not require interacting with your phone while the 2nd might. This situation is where devices such as the Fitbit Charge shine. The smaller screen still gives you enough information to know whether or not you need your phone. Apple learnt a valuable lesson with their first Apple Watch. 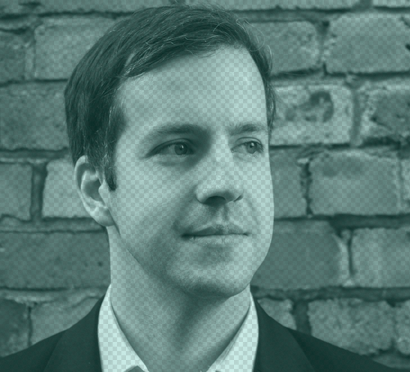 Users expected ‘instant’ responsiveness with a device on their wrist, particularly with notifications - just like they were used to on their phones. If you raise your arm to check a text message for example, and it takes 4-6 seconds to load, you're most likely going to give up and check your phone. This is a poor user experience which is no better than the old way of doing that particular thing. The result being that people will simply stop using the device. When they launched their first watch, Apple thought the primary concern for users would be battery life. Based on this (untested) assumption they sacrificed performance to ensure all day battery life. The result was complaints from all directions about how slow and laggy the product was. In June 2016, they changed all that with an improved Apple Watch. The benchmark for loading a notification was now 2 seconds. They'd learnt from their mistakes and listened to their users. 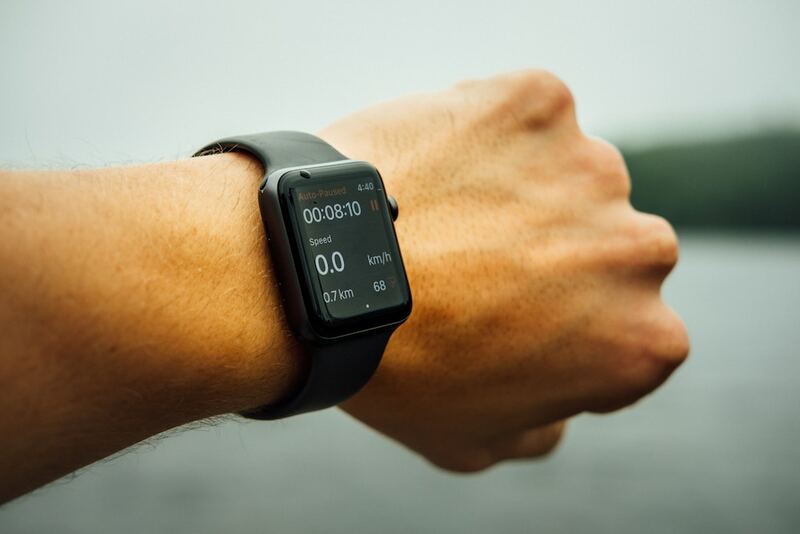 Where wearable tech shines compared to other smart devices is its ability to track exercise. 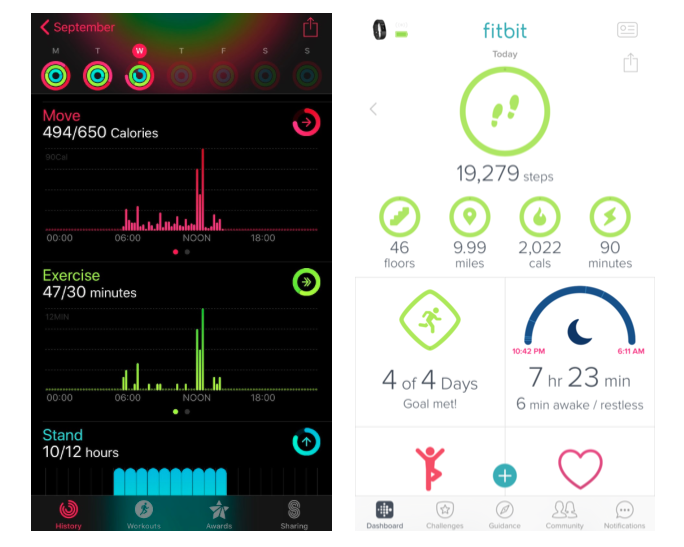 Both the Apple Watch and Fitbit use gyroscopes to track movement. 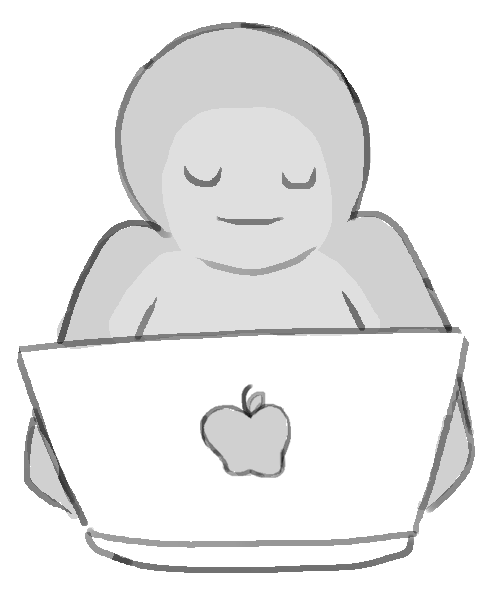 When they detect increased movement and heart rate, they start tracking exercise automatically. Using algorithms on the device and paired smartphone, this data can be used to work out approximate calorie burns. Apple Watch allows you to set a calorie target or ‘move’ goal and has a preset 30 minutes of exercise and hourly stand reminders. 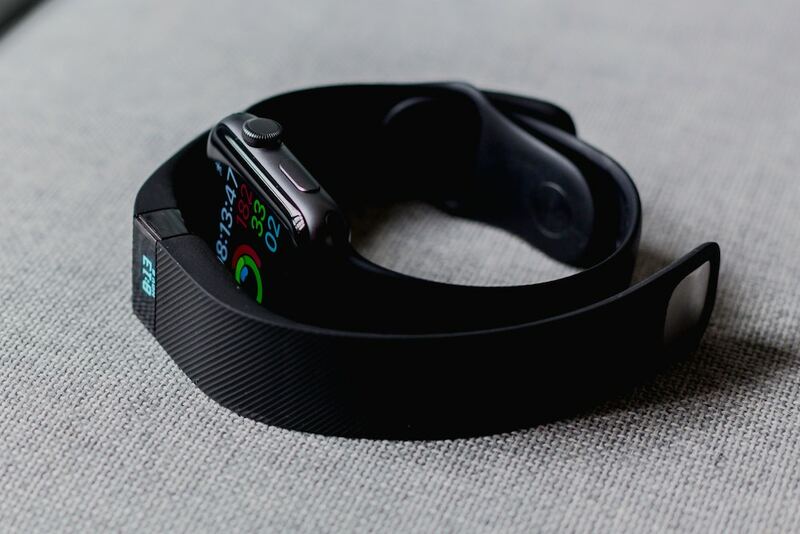 Fitbit allows you to set other targets (steps taken, calories burned or active minutes) and also lets you set weight targets, water consumption and sleep tracking. All the detailed information is displayed on companion apps (on your smartphone). Personally, of the two, I find the Fitbit app gives more useful information at a glance. 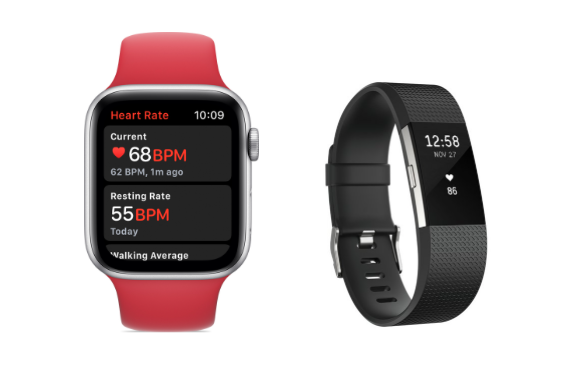 Apple have moved this technology on a step with their latest series 4 watch which can detect potential heart arrhythmia (rhythm) problems. Arrhythmia occurs when the electrical impulses that coordinate your heartbeat aren't working correctly. This causes your heart to beat too fast, too slow or irregularly. The watch can now guide the wearer to get checked by a doctor. Apple have also added ECG (the process of recording the electrical activity of the heart over a period of time using electrodes placed over the skin). This is currently only available in the United States however, because it is classed, rightly so, as a medical device and needs approval at a country level before it can be used. 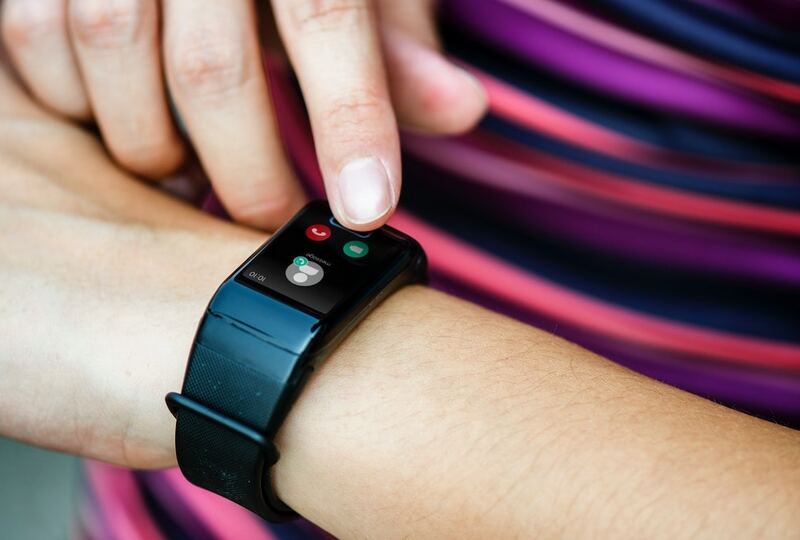 From a user's perspective this is a huge innovation - medical grade technology on your wrist. The Apple Watch and some Android WearOS watches allow you to take advantage of Apple Pay / Google Pay. Pure convenience at its finest. Through technology, you can double tap the button on the side of your wearable and place next to the NFC reader. This prevents the user having to spend time finding their purse for a physical card or even having to get their phone out of their pocket. An almost expected feature of any smartwatch is to be able to take calls / handle messages. When Apple unveiled their cellular model in 2017, they showed a demo of a lady kayaking in a lake without her phone. She was able to take a call from Phil on her wrist despite being in the middle of something out of the ordinary. The automated SMS / iMessage responses on Apple Watch are really handy. Sending a quick message to say “be home soon” or “be right there” with a tap when you are unable to get to your phone or or are in the middle of something is incredibly useful. One advantage of having a smart device on your wrist is that you can control things without your phone. Whilst walking and listening to music you can raise your wrist to skip track, change artist or ask Siri to do it for you. The Apple Watch can connect to Bluetooth headphones too, without needing your phone for set up. This is one of the reasons Apple pushes the fitness aspects of their watch. Being able to go for a run with bluetooth earphones in and not having to worry about lugging your 5.5 inch phone around is a pretty great benefit. Smart watches are successful because they make it easy - yes yes, we know we squeezed our tagline but making it easy is genuinely something we're big fans of here. Being able to respond to a message with a tap, change the track you're listening to, talk to someone or follow progress on a run - these are all things you can do easily and often without needing to carry a device. That, paired with fast responses to inputs and gestures and you've got a seamless user experience. The best smart watch is the one you forget you are using until you aren’t wearing it and then, you truly miss it.